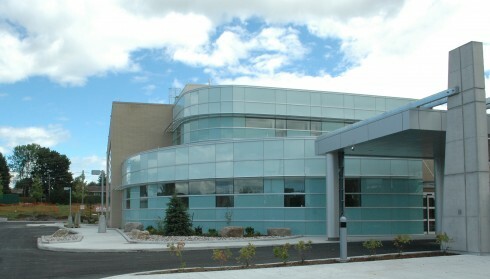 Kemptville District Hospital came into being with the arrival of universal health insurance and our communities’ recognition that we had the capacity and privilege of caring for each other in common. We are proud to be a cornerstone public service that reaffirms our collective safety, care and wellbeing. Our hospital Board understands that the root of the universal health service promise is not about bed numbers or any particular service, but something fundamental to all of us: the promise and privilege of mutual care, a vision of a world of healthier communities. Now in our sixth decade, we have evolved from a typical small rural hospital into an integrated health services organization focusing on building healthier communities. How we build healthier communities changes over time. It’s a commitment that is embedded in this hospital, in our past, present and future. 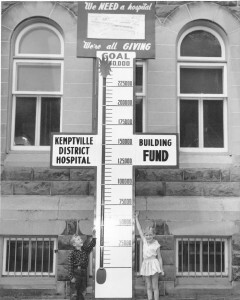 Kemptville District Hospital first opened its doors on June 28th, 1960 after years of planning and fundraising by a determined group of local volunteers. 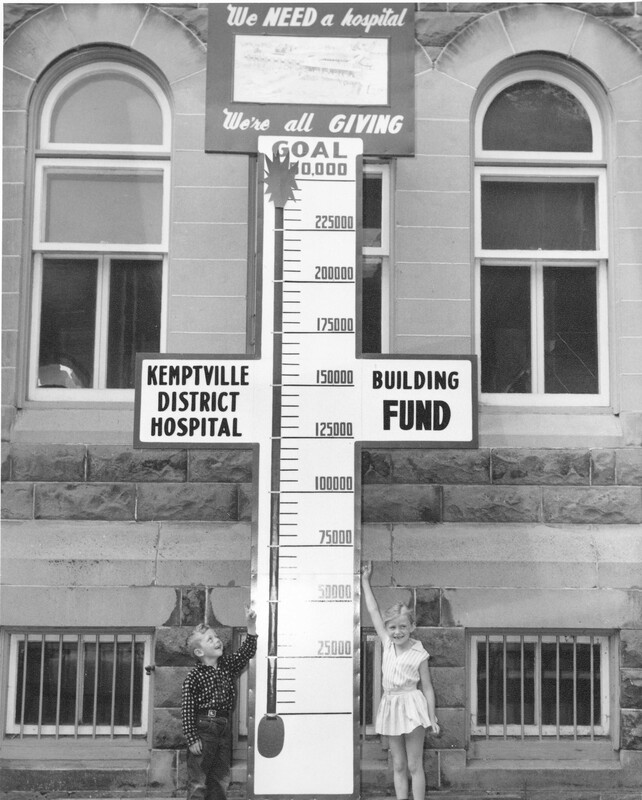 Today’s financial supporters of the Hospital are equally determined to grow its capacity to serve our communities. Some are children or grandchildren of the people who fundraised to build this place; others are newer arrivals or visitors – all realize the impact their donations will have on the lives of their family, friends and neighbours. Learn more.